Building unique relationships, world wide, one child at a time. Connecting children to sponsors around the world and creating meaningful, lasting relationships is the core of One Child Matters. Children come first here and the whole idea is to show how awesome and vivacious these kids are. This brand shows the excitement of partnering with a company that is changing the world - one child at a time. ​There is great power in storytelling. Opening people’s eyes, all over the world, to see the children as they truly are and what their daily lives are like is the essence of what this company does every day. This retention piece brings storytelling to the forefront to help retain loyalty from sponsors and give them a connection to the children that is hard to break. 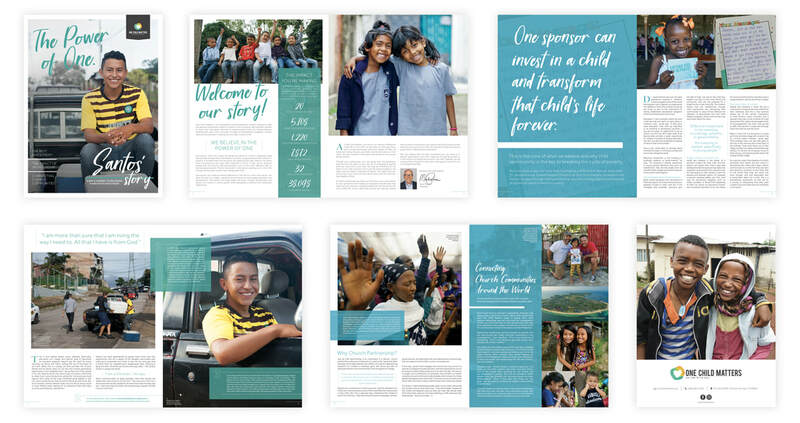 This side of the campaign's purpose is to reach out to the sponsors, helping them understand how their donations are used to directly impact kids around the world. 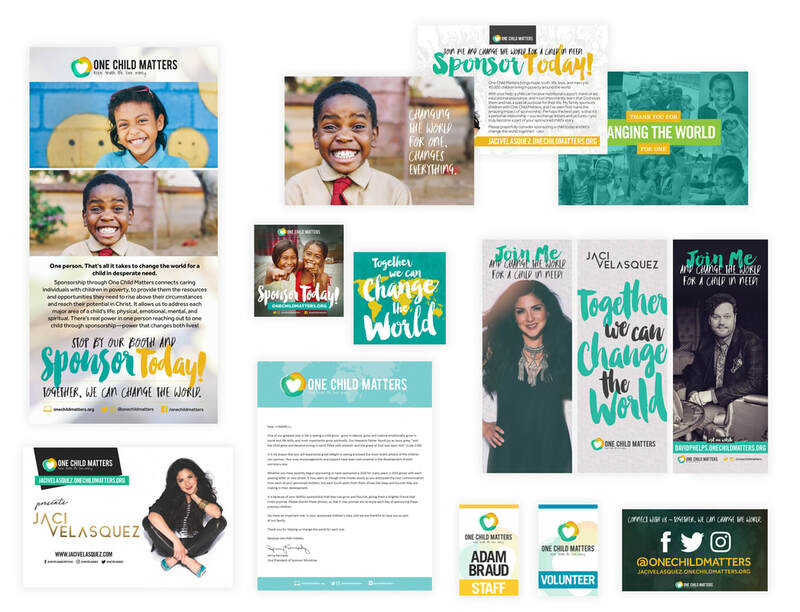 These pieces still have the vibrant feel of One Child Matters, but includes facts and information to educate the sponsor and let them know the difference they are making. Another component to this campaign is creating stationary that goes between the sponsor and the child. Since this is designed just for kids, the look is more playful with vibrant accent colors, games and activities. The goal here is to facilitate creating a lasting and meaningful relationship that bridges country and culture lines. Telling stories about the kids and their sponsors is a great way to create a strong brand loyalty. Not only are these educational pieces, they create a fun and lively connection to the core value of One Chid Matters. Another component of the One Child Matters campaign is to support its partners and to provide them with everything they need to be champions for kids. 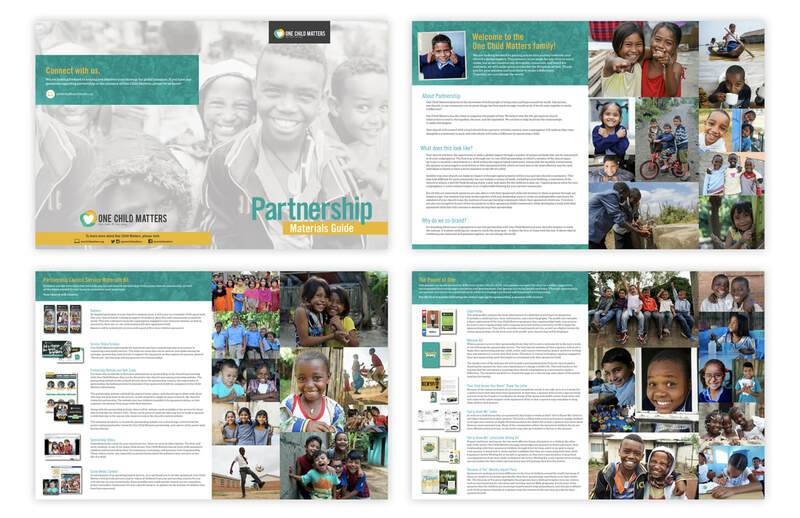 Even though it is a partnership guide designed to show all the pieces of being a partner, we never lose sight of the real reason for the campaign...the incredible kids they serve.